Above All Roofing & Contracting Ltd.
Don’t get caught with sudden, costly repairs. Keep a close eye on your roof and learn how to spot problems before they severely impact your wallet with these danger signs. By the time you notice water inside your home, your roof is most likely well past repair and it will require a full roof replacement. What you may not realize is that your roof was giving you signs it needed help before it started leaking. By knowing what signs to look for, you can either repair the roof or have it replaced before it becomes an emergency repair. Above All Roofing & Contracting Ltd. can help you determine the life your roof as left. The age of your roof is one of the biggest indicators. Most roofs will last 15 - 25 years with asphalt shingles. Sometimes a roof will last less or out last that time frame. A roof with last less time especially if it is installed improperly. 2. 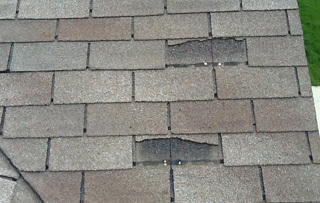 Missing, cracked, or curled shingles. 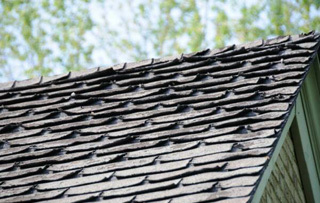 If you see that your shingles are dry or practically break when touched, that means they have reached the end of their useful life and it’s time to invest in a new roof. 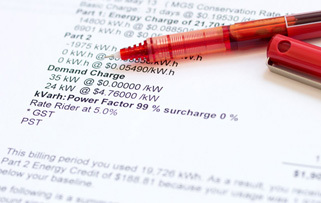 A possible cause of higher cooling costs could be insufficient attic ventilation, requiring the cooling system to run excessively. In warm weather, inadequate ventilation will trap hot air in the attic, causing air-conditioning systems to work harder, or leaving your home's interior hotter and less comfortable. In both hot and cold weather, moisture in the attic can become trapped and condense on the rafters if it’s not insulated properly. This moisture can drip down onto the insulation and reduce its effectiveness, potentially increasing energy costs. The flashing around your chimney consists of tar or cement. 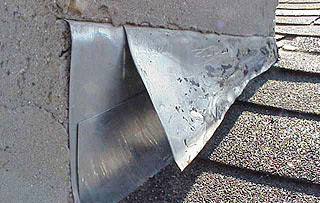 Once this deteriorates, you will need to replace it with a more durable, long-term solution like metal flashing. 5. 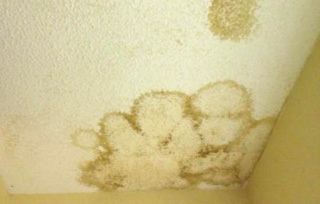 Stains on interior ceilings and walls; mold or mildew growth. If you see stains or, even worse, mold growth inside your home, it may be caused by inadequate or faulty shingle underlayment that is allowing water to seep into the house. Inadequate ventilation could also be the culprit, which causes excessive moisture— conditions in which mold and mildew thrive. 6. Leaks in the Attic. 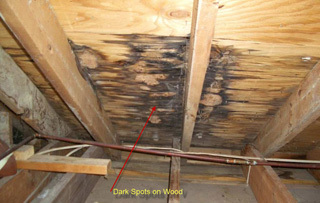 Take a look in the attic for signs of leaking. Ice damming can also cause water to enter the house if you don’t have an adequate shingle underlayment or if the flashing (the aluminum or steel used over roof joints, like chimneys and pipes) has deteriorated.